We had been walking for 45 minutes and had absolutely no idea where we were. 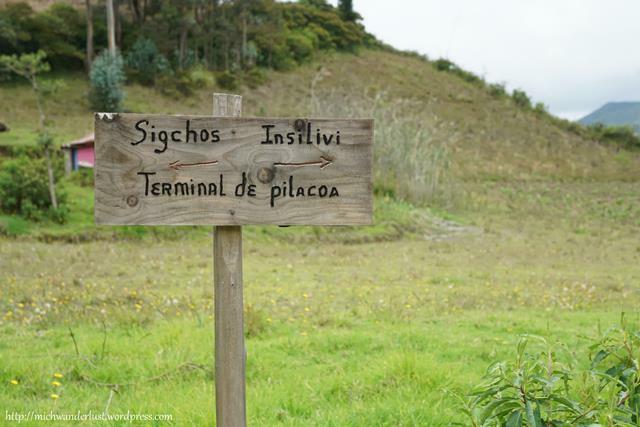 Our plan had been to follow the signs from Sigchos to Isinlivi, but those signs were extremely few and far between. At every junction, we had a debate about which way to go. But in an area where mobile coverage was nonexistent, there was no way to know for sure whether we were on the right track. I’ve never been more excited to see 2 complete strangers in my entire life. Not only were we heading the way they’d come from (so we were on the right track!) – they also had a map! With extremely detailed instructions and the odd photo! Since we were so near their destination of Sigchos, they very kindly gave us their map. We had to follow the directions backwards (not as easy as it sounds! ), but those guys were lifesavers. 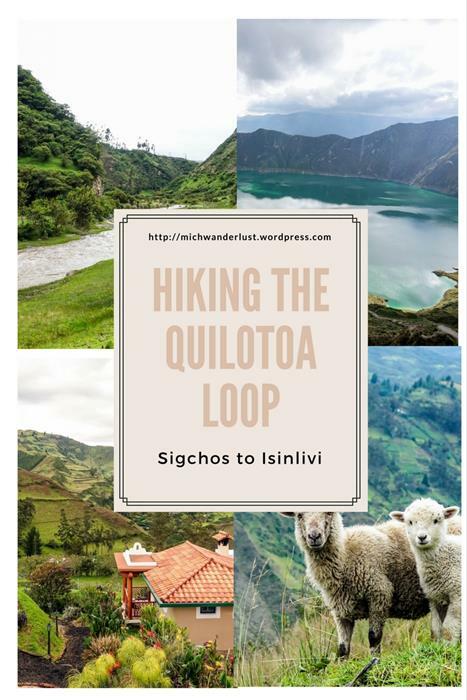 Welcome to the Quilotoa Loop! The highlight of the Loop is the Quilotoa lake (above). 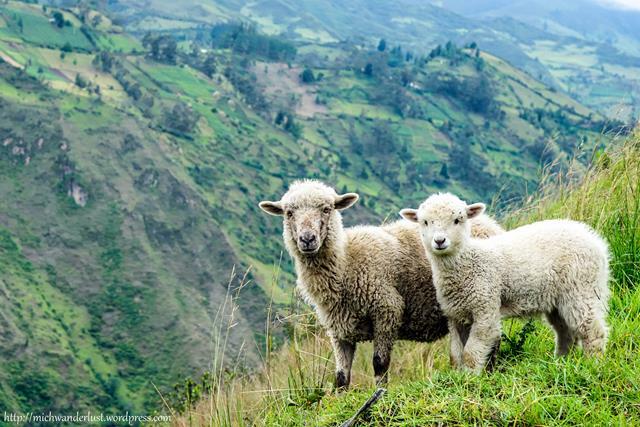 You can just take a bus straight there, but if you want to do some hiking through the picturesque Andean highlands as well, do the Loop. Your journey starts at Latacunga, the nearest big city. We took the following route: Latacunga → Sigchos → Isinlivi → Chugchilán → Quilotoa → Latacunga. 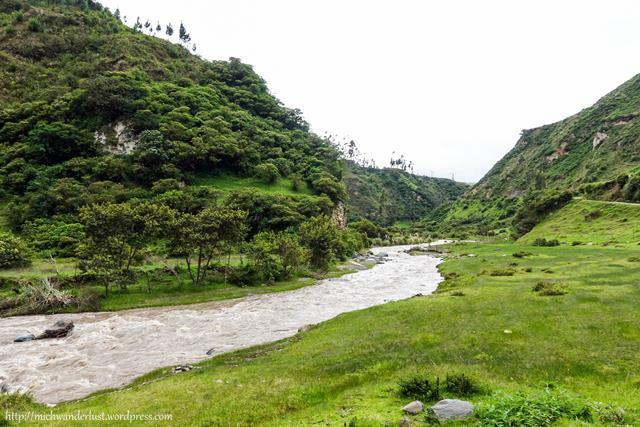 Some people include a stop at the town of Zumbahua between Quilotoa and Latacunga. Because it’s a loop, you can also go the other way, starting at Zumbahua / Quilotoa and heading towards Sigchos / Isinlivi. This is easier (less overall ascents) but less popular because you don’t get the grandstand finish at the Laguna de Quilotoa. 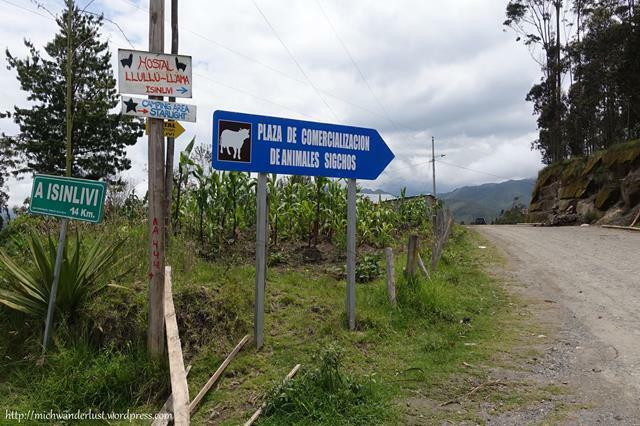 You can get here from Quito by bus, from the Quitumbe terminal in the south. The journey is 1.5 hours and buses are very frequent. We took a taxi from the Latacunga bus terminal to our hostel, Hostel Sendero de Volcanes ($22/night). It had an in-house restaurant – perfect for people like us who were too lazy to go out to get food! It also has a luggage storage service which is perfect for when you do the multi-day Quilotoa Loop hike. 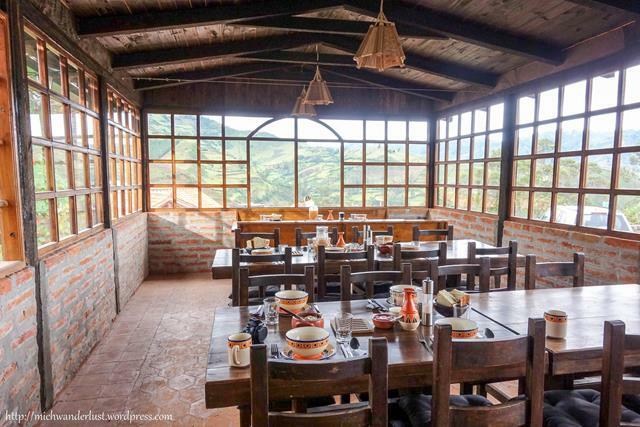 Most of the hikers that we met on the Quilotoa Loop stayed at Hostal Tiana, though. Tip: Taxi rides within the city are a flat rate of $1.25. We didn’t know that and got charged $2 by a less-than-honest driver! There are a couple of buses a day from the Latacunga bus terminal to Sigchos. To get an early start on our full-day hike, we took the 9.30am bus. We followed the advice on some blogs and loaded up on snacks from the nearby Santa Maria supermarket, but bought way too much and had a lot left over at the end of the Loop! The bus journey took about 2 hours. Practically everyone on it was heading for the Loop, so it would’ve been a good time to make some friends (especially friends with maps!). Oh well, you know what they say about hindsight. We ended up wandering around Sigchos, asking for directions to Isinlivi. We only knew two things: that we were heading towards Hostel Llullu Llama in Isinlivi and that the hostel had painted some llamas along the trail to guide people there (and away). So when we saw a sign for it, we peeled off the main road and followed the dirt road. You know the rest – we got thoroughly lost, but met the 2 hikers coming from Isinlivi (from Llullu Llama, actually!) and made it to the hostel in one piece and only slightly traumatised. Because navigating in reverse is trickier than it sounds, we missed a few turns, got lost a few times and braved a few “adventure routes” – think sliding down very steep hills of long grass with no discernible path down. Towards the end we somehow caught up with an American couple also heading for the same hostel, and finished the hike together. It was great to have company, because more people = more excuses to take a break! The last part of the hike mostly involved going uphill, so we took it very slowly. And it rained on and off the entire time. All I can say is thank goodness for rain gear! Distance covered: 14.1 km in 5.5 hours. Always have a map. Pro tip from a fellow hiker on the Loop: put GPX tracks from Wikiloc in an offline GPS (like OpenStreetMap). Nothing beats the sheer joy and relief when you see signs that you’re on the right track… except arriving at your destination! There are only a handful of hostels in Isinlivi, but we picked this one because of the rave reviews we’d read online (like this one from Along Dusty Roads). We finally stumbled into the hostel just before dark, all damp and exhausted, and it felt like Christmas had come early. The cozy, rustic decor combined with the roaring fireplace in the evenings makes you feel right at home. Combine that with friendly fellow travellers, most of them equally tired and eager to chat about their hikes, and I was almost sorry to leave the lounge area when the dinner bell rang. Almost. It must have been partially due to hunger, but the food gave new meaning to the phrase “comfort food”. We had soup with homemade bread, salad, pasta and flan for dessert. I think all of us had a warm after-dinner glow which enabled us to linger at the table long after all the dishes had been cleared. After dinner, it was pretty much straight to bed. There’s no wi-fi here, which I didn’t mind at all. It’s nice to unplug for a while! And of course, I slept like a log. Breakfast was equally good and generous: granola, fruit salad, yoghurt, scrambled eggs, bread, jam, juice and coffee/tea. The perfect energy boost for a long day of hiking! The final thing that blew me away was the incredible value – we paid just $24 per person for dinner + breakfast + private room with shared bathroom. A dorm bed costs just $19. It’s definitely one of nicest hostels I’ve ever been to (not just in Ecuador). Note: We have no affiliation with Llullu Llama whatsoever, save that my husband made this video in exchange for 2 packed lunches on our final day. We made no promises to publicise it in any way. 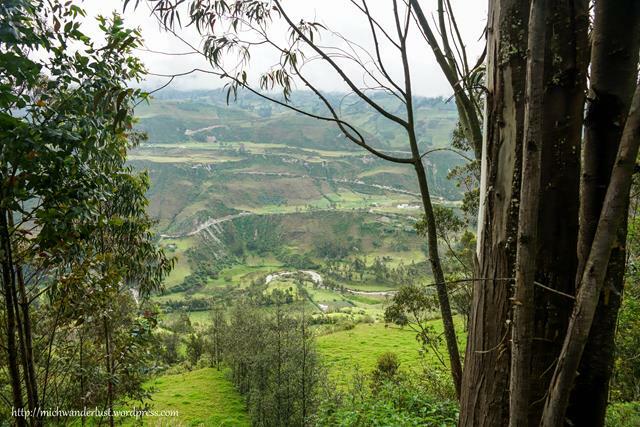 Have you ever done a multi-day hike in Quilotoa or elsewhere? How was your experience? Oh don’t you just hate it when you go to all that trouble with nothing to show for it? 🙁 I’ve seen your Iceland photos though and they’re gorgeous so hopefully you didn’t miss much! Hope you get to visit Quilotoa someday. Thanks for stopping by, Ruth! Wow Quilotoa Loop is stunning! I’ve never heard of this region before!! Will be looking into this more! Thanks for linking up with #TheWeeklyPostcard! It’s beautiful, although a little more touristy than I was expecting. But I’ll get into that in future posts 😉 Definitely worth a visit though – hope you get to see it someday 🙂 thanks for stopping by, Lori! Wow what an adventure! So glad it all turned out ok. The views are just amazing though, loved the video. Pinning for future reference, would love to do it myself. Thanks for sharing on #TheWeeklyPostcard. Wow this looks like it was an interesting adventure! The views are stunning! 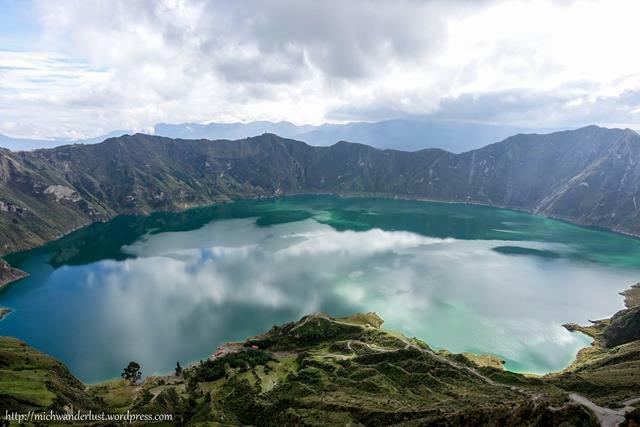 Quilotoa Lake looks so peaceful and serene. I love the photos of the animals you came across in their own natural habitat, (so cute!) 5.5 hours is a long hike (I’m a novice) lol but definitely is worth with these things as the end result! 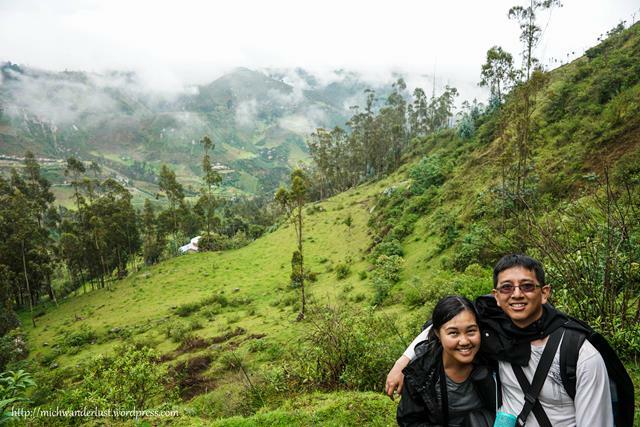 Thank you for sharing this amazing part of Ecuador! It really is great fun! 🙂 Hope you get to do it sometime. Thanks for stopping by, Stephanie! Definitely would’ve been more terrifying had I been alone! 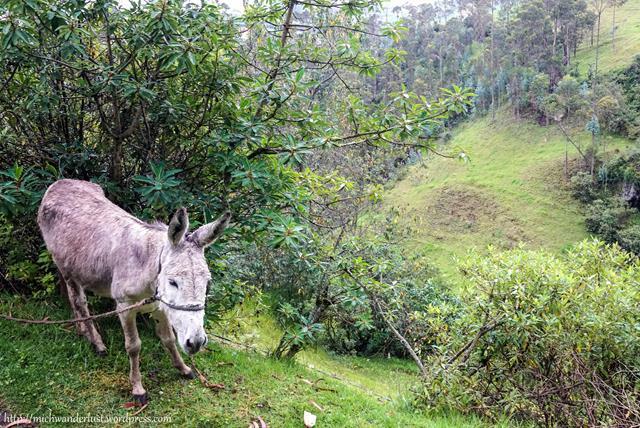 Ahhh this brings back memories… like the time we got lost, and the time we crawled up a mountain on our hands and knees, and the time we soaked in the hot tub at LLullu Llama and never wanted to get out … Take me back! Such an amazing hike! The wildlife (if we can consider it that – not very wild actually haha!) was definitely one of the best parts of the trip 🙂 it was amazing to see these domesticated animals just roaming around freely. They apparently know where home is! 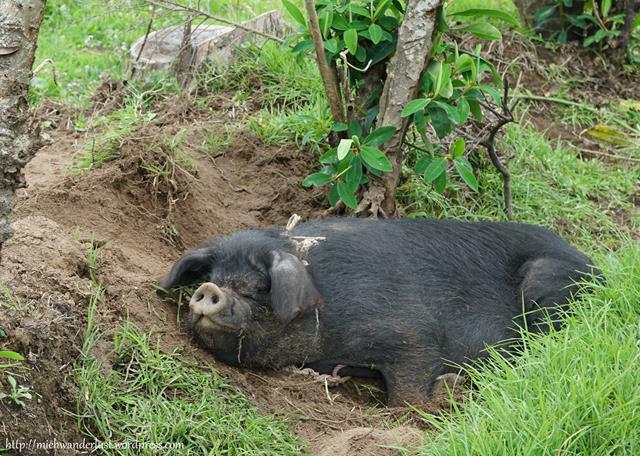 We like that sleeping piggy’s style! What amazing scenery – and quite the adventure. Cool hostel, too – love the name! We’ve come to realize we don’t know very much about South America, so thanks for the education and for putting the Quilotoa Loop on our radar, and for sharing on #TheWeeklyPostcard! Yup, that pig is everything! 😀 The world is so big, we can’t possibly be experts on every part of it. That’s why we read other travel blogs, right? 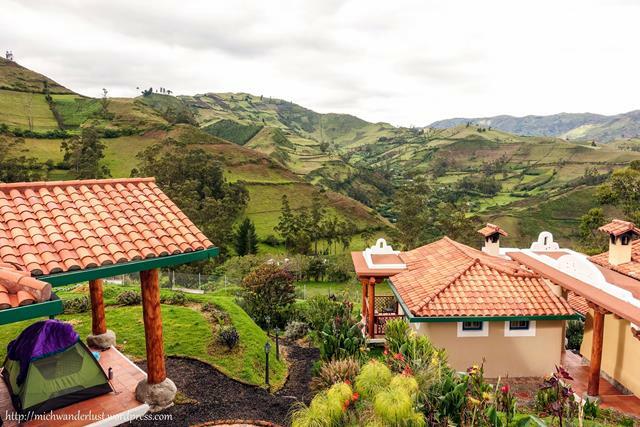 Hope you get to explore South America and Ecuador in particular one day! Thanks for stopping by, Rob! What a wonderful hike! I can totally relate to when you can’t find signs and are unsure if you are on the right track. Loving the tips in the end and the photos are out of this world! Well done guys! Thanks so much for your kind comment, Kreete! 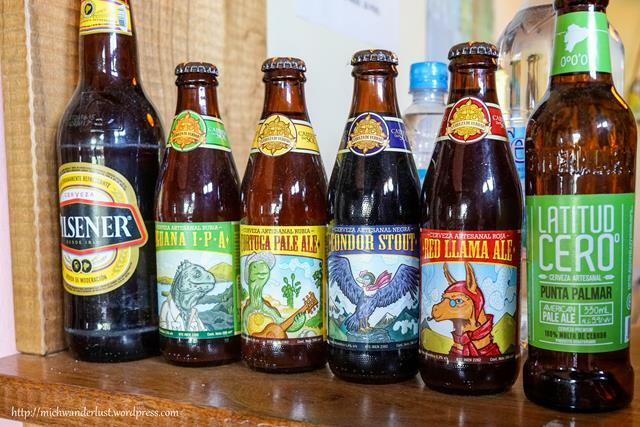 Thanks that’s a great story of hiking Quilotoa. I went there some years ago but on a bus a from Latacunga! Oh yeah.. the Quilotoa Loop is one epic hike. You’ll inevitably get lost a few times because there aren’t really well-defined tracks to follow and the directions are like “after you find a meadow, walk on for another 20 minutes and then take the left turn”… Hope you get to visit someday, it’s a really beautiful country!